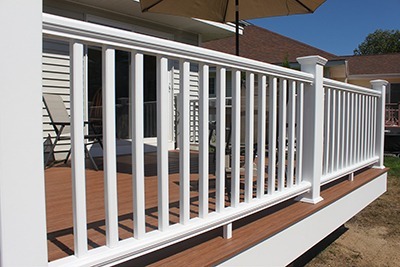 Thanks to our modular design, you can customize color combinations with mix-or-match balusters, handrails, or posts. Add third party railing accessories like lighting, cable rail, glass, panels, or metal balusters to complete your personal touch to your RailWays® Universal Railing. Learn more about DuraLife Composite Railing Systems by clicking here to visit their website.